You did amazing job - everyone commented how brill you were, thank you so much!! Michael was fantastic!!! He played my 30th birthday party and everyone loved him. Thanks michael. Offering full day Wedding Entertainment packages that are brilliantly tailored to give a diverse live performance that is suitable for many parts of your wedding day. 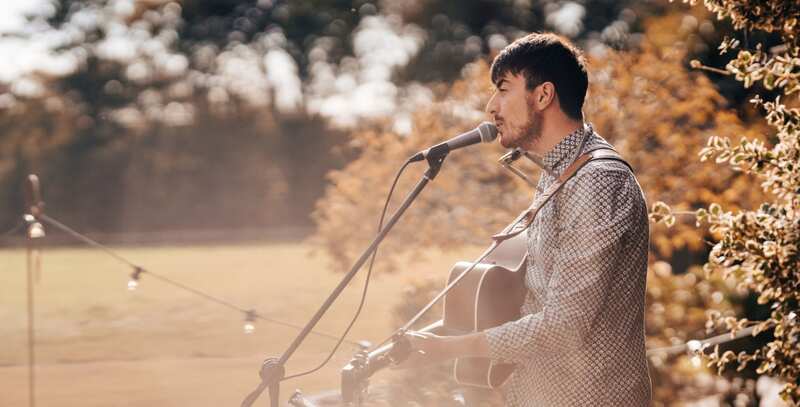 From laid back popular acoustic covers during the Ceremony or Drinks reception, to upbeat, foot stomping, Harmonica blowing sing-along sets in the evening. I have a repertoire of over 200 songs including The Beatles, Oasis, Mumford & Sons, Ed Sheeran & George Ezra, which I try to approach with my unique personal style – adding harmonica and stomp box to complete a full band sound. Specific songs can be requested and I am more than happy to make special arrangements. Available with my own PA system & lighting, I can play in almost any space whether small or large, indoor or outdoor. 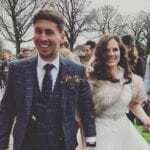 If you are also looking for a Wedding DJ in Lancashire, I offer a professional DJ service to keep you and your guests on the dance floor until the end of the night! As guests arrive, Bride walking down the aisle, signing the register and walking back up the aisle as a married couple. If would like me to perform a song without vocals I am also a very experienced instrumental wedding guitarist and trained to degree level in Classical guitar. Create a fun, chilled out atmosphere as guests enjoy drinks and photographs. I can perform either indoors or outdoors and have a battery powered speaker which means I'm totally portable. Background music as you enjoy your meal. Although this can sometimes lead to guests standing on chairs and swinging napkins around their head! I also have a wireless mic for speeches. First dance performed live. Upbeat acoustic sets to get everyone on the dancefloor. I'm also a highly experienced wedding DJ. With a full professional DJ setup including DJ booth, LED lights, Moving head lights to keep the dancefloor full until the end of the night. We booked Michael for our Wedding after we saw him singing at a Wedding Fair. He played 4 sets throughout the day/evening and then provided a DJ service later on. He was absolutely brilliant and set a fantastic mood for the day. He got everyone dancing all night and a number of guests have commented on how brilliant he was and asked for his contact details for their weddings. We would highly recommend him and would like to thank him for helping to make our day so brilliant!